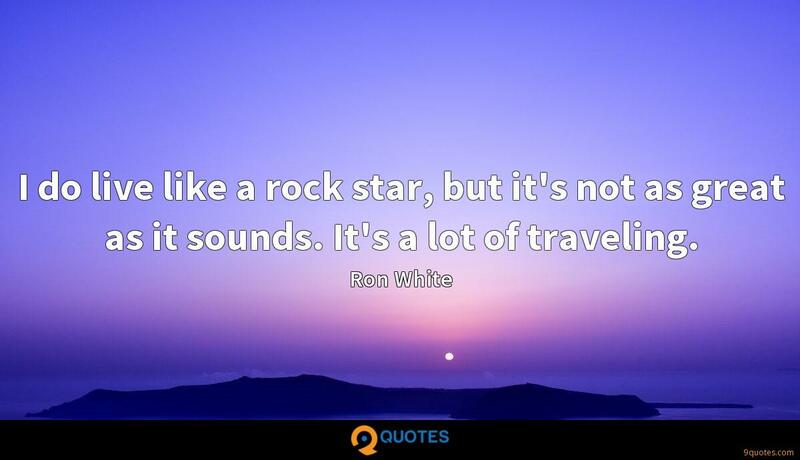 I do live like a rock star, but it's not as great as it sounds. It's a lot of traveling. 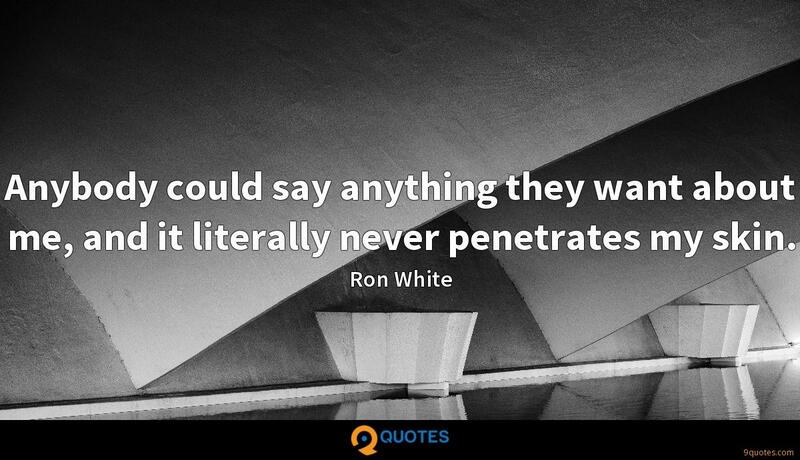 Ron White Quotes. 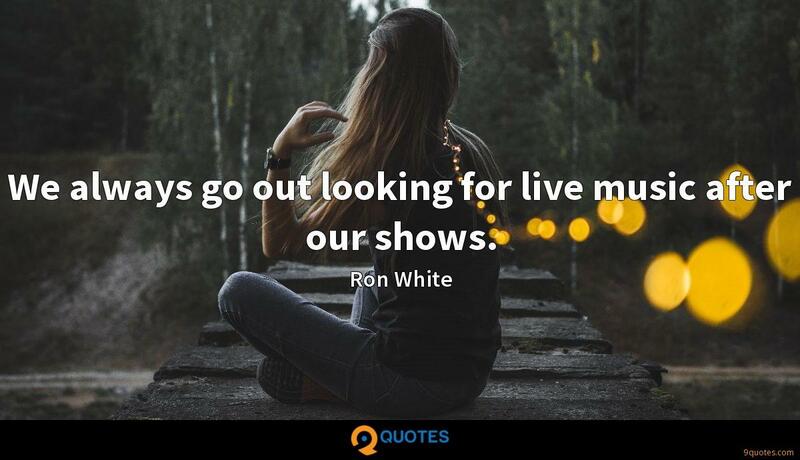 9quotes.com, 2018. http://www.9quotes.com/quote/ron-white-156170, accessed 25 April, 2019. My experiences in life are getting bigger and better. The more stuff I do, the more stuff I talk about - having kids, traveling, going through relationship problems, dealing with things in my own family. All that stuff builds character. I don't like to spend money when I'm traveling. I like to go places like Hawaii and not spend money. I splurge on time. I love traveling, but I love the bum I married, and the bums I gave birth to, more. And the dogs. I love them, too. The first thing I ever got my hands on was Andy Griffith's 'What It Was, Was Football.' I was fascinated with the fact that every syllable made it funny, and I would laugh even though I didn't know what any of it meant. We always go out looking for live music after our shows. 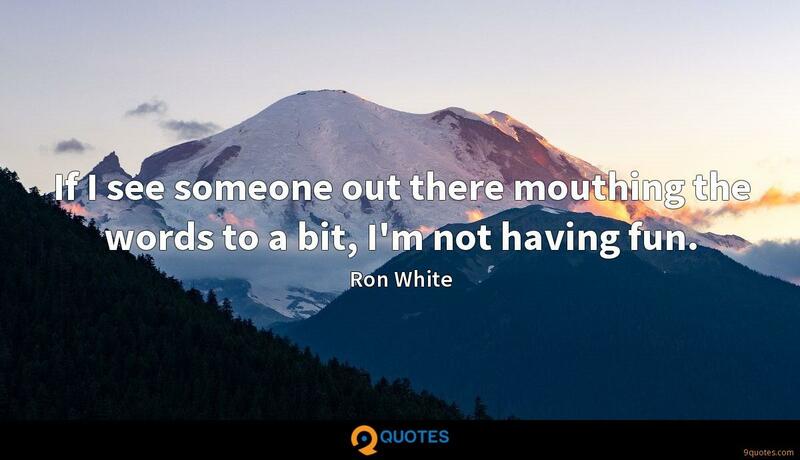 If I see someone out there mouthing the words to a bit, I'm not having fun. 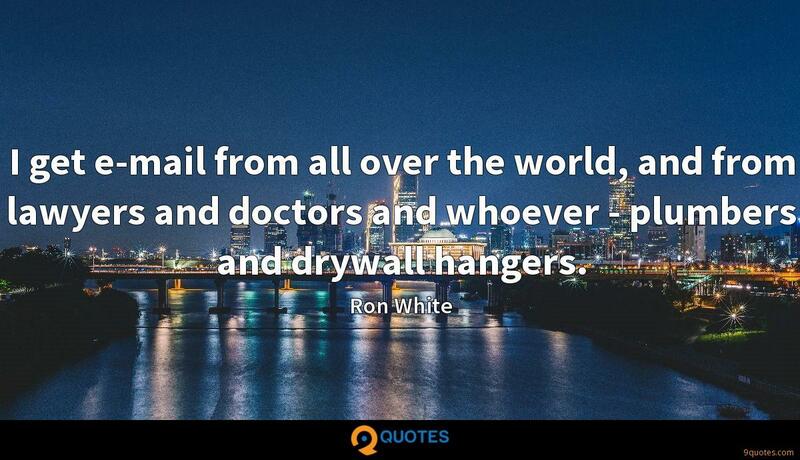 I get e-mail from all over the world, and from lawyers and doctors and whoever - plumbers and drywall hangers.